Little Red Riding Hood, Maleficent, Queen of hearts, White snow, Princesses and Little-match girls, fashion designers are inspired by fairy tales. 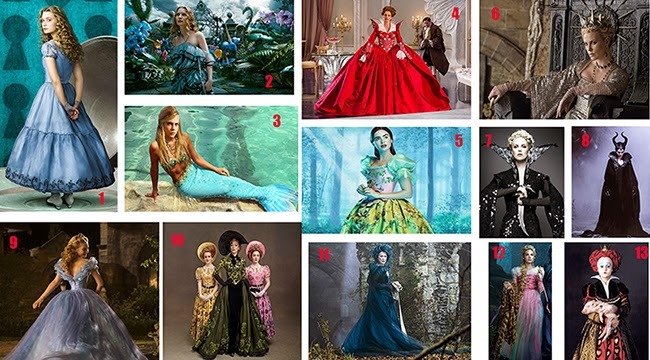 Theatrical clothing, some beautiful, but those designed by the costume designers for films are wonderful. Anyone acquainted with grad institution admissions can easily let you know of which getting yourself into graduate student institution just isn't since simple since creating a cutoff GPA or even GRE score. As a matter involving truth, some people critically ignore the value of the graduate student admissions article. grab my essay review is best one and really awesome custom essay writing service providers. Shop Great post, and great website. Thanks for the information! LuxJunky What a fantabulous post this has been. Never seen this kind of useful post. I am grateful to you and expect more number of posts like these. Thank you very much. dresses for summer It's late finding this act. At least, it's a thing to be familiar with that there are such events exist. I agree with your Blog and I will be back to inspect it more in the future so please keep up your act.